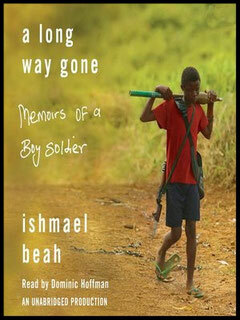 A Long Way Gone by Ishmael Beah is a book written in February 13, 2007 that explores the true story of the author, an ex child soldier. It is an amazing book with a truly inspirational story of a boy who lived through all kinds of hardships but now has a new life and speaks out for children that are going through what he had to go through. I think that survival was such a huge part of this story because of all the circumstances and the fact that death was always near. The story is set in Sierra Leone during the civil war (1991-2002) where the entire population endured an immense struggle. With 50,000 people dead because of this war it took a strong will to survive to make it through to a better life like Beah did, now a best selling author and human rights spoke man. Ishmael Beah not only wrote about how he survived physically in such a violent and unforgiving war but how he survived emotionally and tried to regain his innocence when he had little to none left. The author uses a variety of tones when he adds in what Saidu, his friend, says as the situation goes from happy to sad very quickly. Ishmael Beah does this to show the struggle and trauma it was to survive during the war: “Every time people come at us with the intention of killing us, I close my eyes and wait for death. Even though I am still alive, I feel like each time I accept death, part of me dies. Very soon I will completely die and all that will be left is my empty body walking with you.” Saidu says page 70. He later dies and Ishmael makes the relation between what Saidu said and an attack with machetes. Villagers had attacked them thinking they were rebels. Ishmael thought there was a connection as the loss of hope to survival had also dimmed his own will to survive: “I remembered a few weeks back when Saidu had spoken about parts of him slowly dying each passing day, as we carried on with our journey. Perhaps all of him had died that night when he spoke in that strange voice after we had survived that attack by men with machetes, axes, and spears, I thought.”page 87. Ishmael Beah really uses this chapter to show how important it is to be hopeful. He uses events in the setting of the war in this part of the book to show that what happened to all the boys destroyed the hope of one of them, who later did not survive. I think Ishmael Beah is a person everyone should look up to as he managed to bring positivity in such a negative event and talks about his life to show others that you should always have hope when you are having a harsh time as it will eventually pass. 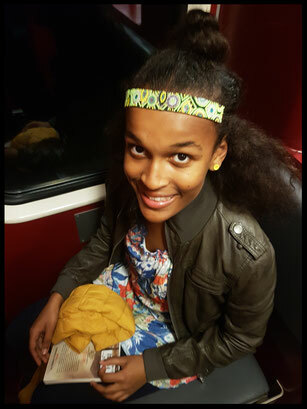 Je te remercie, Héloïse, pour ton compte-rendu très intéressant et pertinent sur le témoignage poignant de cet ex-enfant soldat, que je vais chercher à me procurer. C'est donc d'autant plus remarquable qu'Ismael Beah y soit parvenu, et que par son témoignage, il contribue à rendre cet espoir-là à bien d'autres victimes de cet esclavage moderne que constitue la condition d'enfant-soldat.